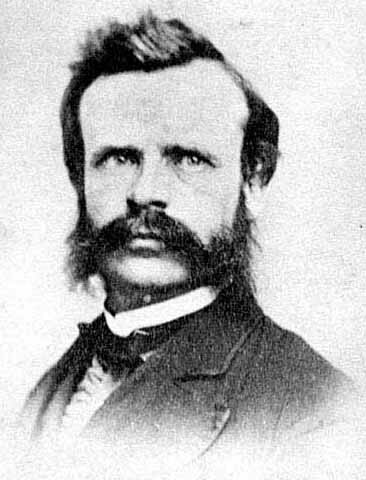 Major John Wesley Powell holds the distinction of being the first to navigate the Colorado River through the Grand Canyon. In 1869, Powell commissioned four boats, built in Chicago, and transported to Green River City, Wyoming, where he would start his expedition. On May 24, Powell and nine other men, including his brother, departed on their journey into mostly uncharted territories. They would navigate some of the most difficult rapids and see some of the most beautiful country they had ever seen. Powell expedition experienced their first calamity. While Major Powell scouted a rapids, one of the boats was sucked into the rapids before the crew could make shore. The crew all ended up on an island in the middle of the river and were rescued. The boat broke in half, and they found part half a mile downstream. 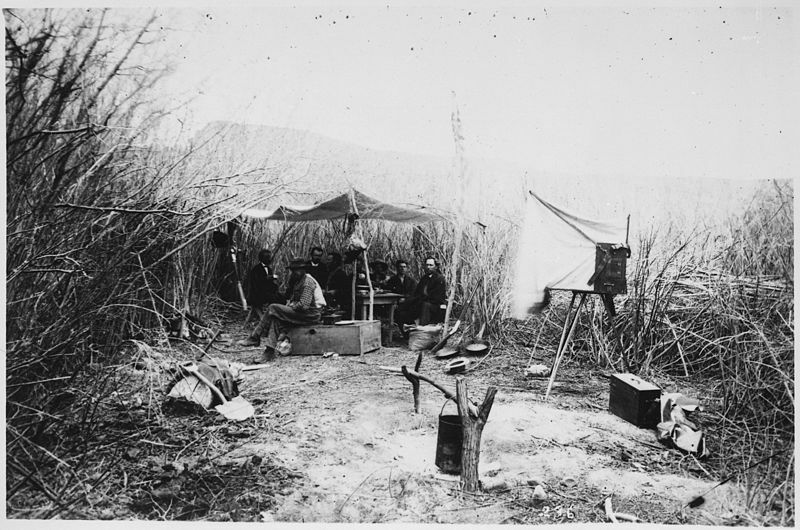 One-third of their provisions and instruments were lost early in the trip. of the river, were lost, he decided they needed to try to recover them. They spent the next day portaging boats while two of the men attempted to find the barometers. They were successful in recovering the instruments and a keg of whiskey. 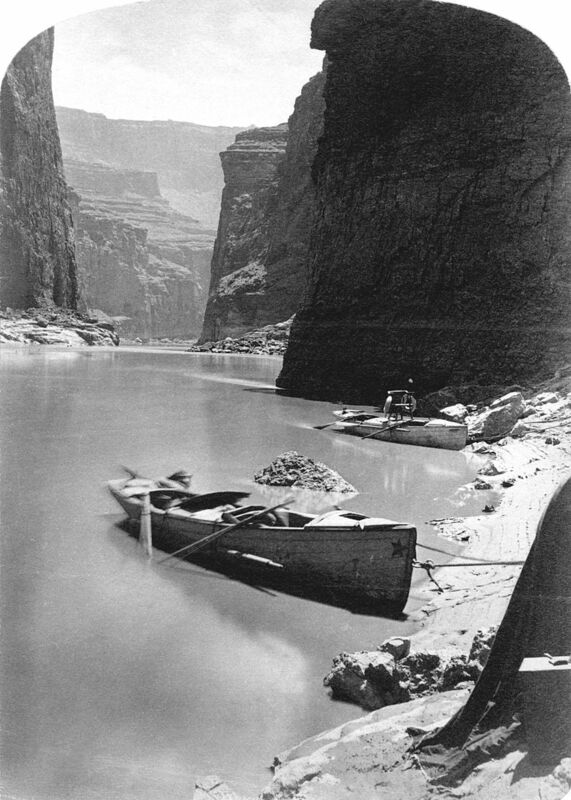 Major Powell wrote of the Lodore Canyon, "This has been a chapter of disasters and toils, notwithstanding which the Canyon of the Lodore was not devoid of scenic interest, even beyond the power of pen to tell. The roar of its waters was heard unceasingly from the hour we entered it until we landed here. No quiet in all that time. But its walls and cliffs, its peaks and crags, its amphitheatres and alcoves tell a story of beauty and grandeur that I hear yet - and shall hear." 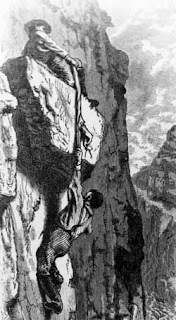 The adventures continue as they encounter rapids, difficult portages, and at one point, Major Powell being rescued from a cliff face. One of the crew had to take off his pants and lower them to the Major in order to pull him to the top of the cliff. By the time they reach Marble Canyon, the walls are over 2,000 feet high and the rapids are difficult to navigate. In August, Major Powell wrote in his journal, "We have an unknown distance yet to run, an unknown river to explore. What falls there are, we know not; what rocks beset the channel, we know not; what walls rise over the river, we know not. Ah, well! We may conjecture many things. The men talk as cheerfully as ever; jests are bandied about freely this morning; but to me the cheer is somber and the jests are ghastly." In Mid-August, the weary party comes to a slower section of the river. In the afternoon they encounter a beautiful stream emptying into the Colorado River. They stop to camp and explore. Major Powell names the creek, Bright Angel in contrast to a smelly stream they encountered previously that they named Dirty Devil. They explore the Bright Angel canyon and find many artifacts and ruins. Toward the end of August, the party comes to some large lava rocks in the middle of the river. Farther down they see Lava Falls, a spectacular sight. Major Powell writes, "What a conflict of water and fire there must have been here! Just imagine a river of molten rock running down into a river of melted snow. What a seething and boiling of the waters; what clouds of steam rolled into the heavens." On August 29th, 1869, the Powell Expidition exited the Grand Canyon. Three of their party left before they reached the end. Another of their boats had to be abandoned. They accomplished an amazing feat and encountered many hardships in these few months. Have you ever visited the Grand Canyon? Back in 1982, I hiked to the bottom of the Canyon with my parents, a wonderful experience. Have you ever hiked the Canyon, ridden the mules down to Bright Angel point, or ridden a boat in the rapids? 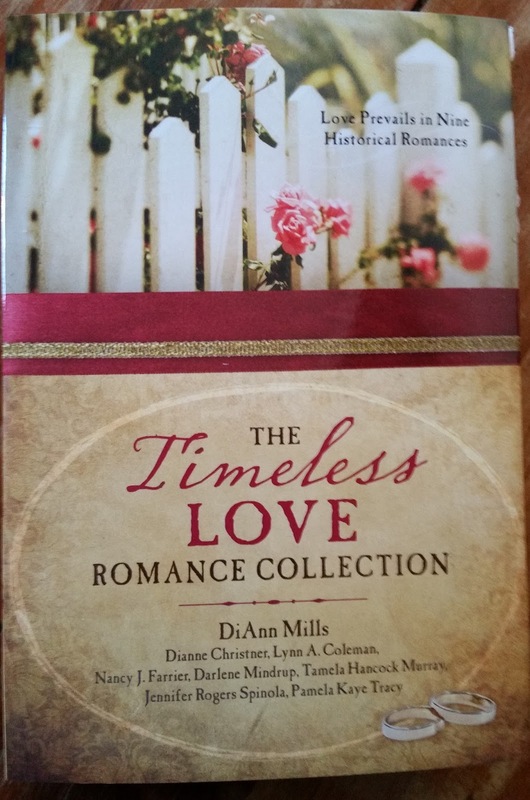 Leave a comment and your email address to be entered in a giveaway. I haven't visited the Grand Canyon, but I would like to one day. The mules would be fine - no rapids for me though. Mary, I'm not sure I would want to go through the rapids either. Sometimes the thought intrigues me though. Thanks for commenting. I never have seen the Grand Canyon. From pictures, you can tell it is an awesome sight to behold. 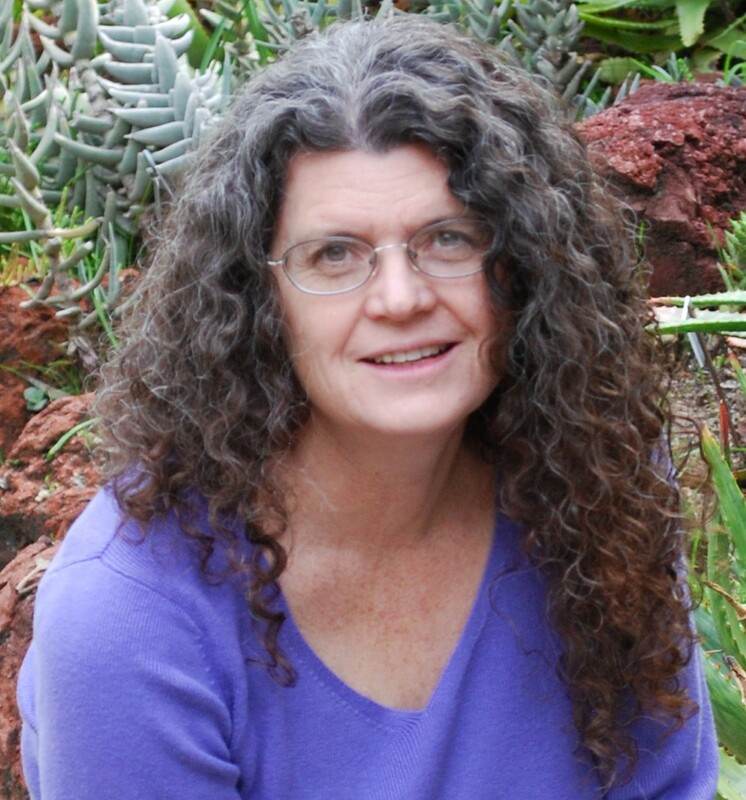 Connie, I hope you get the chance to visit. The pictures are incredible, but don't do the Canyon justice. Thanks for commenting. No, I haven't done of any of the things you mentioned but I have always wanted to see the Grand Canyon. I do hope you get to see the Grand Canyon some day, Connie. Thanks for stopping by. I've visited the Grand Canyon but didn't hike down. It was awe inspiring from the top! You are right, Merry. It is awe inspiring. Thanks for your comments. I haven't been but I would love to go . . . the mule trip down into the canyon??? : / whew . . not sure . . but I would love the rapids trip. Loved learning about his trip and all he/group persevered to share with us what was down there. Just amazing story. I love stories about the canyon and the Harvey girls . . . what an incredible time in history! Thanks for the giveaway . . .christinedavidbures@gmail.com. Chris, I'm glad you enjoyed Powell's story. I hope you have the chance to visit the Canyon some day. Thanks for commenting. look over the edge! I'd love to visit again..
Deanna, if you do get to go, try to hike down a bit. Such a beautiful place. Thanks for commenting. Never been. But I do love reading stories. I love to read too, Kim. Thanks for taking the time to stop by. I am enjoying this blog so much! I have not visited the Grand Canyon yet, just flown over it. Thank you for this article and the giveaway! Thank you, Danielle. I hope you get the chance for visit to the Canyon some day. I'm glad you enjoy the blog. How fun to take the family, Joy. There is a lot to see. Have fun and thanks for commenting. Thank you for a fascinating post. The Grand Canyon is certainly something to behold....an awesome thing of beauty! I have only be on a portion of the Colorado River in a raft one time. It didn't turn out so well as we capsized and went rushing down the river before we were rescued. Needless to say, I will not do that again! Whew! Melanie, that must have been an intense experience. I'm glad you were all okay. I do love the Grand Canyon. Thanks for commenting. I haven't been to the Grand Canyon though when in Africa, one area made me wonder if it was like that? 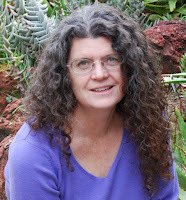 I love this blog with all the history of what I consider adventuresome times! Melody, I've never been to Africa, but would love to go sometime. Thank you for your comments. It's been a number of years, but my husband and I did get a chance to visit, though not down into the canyon. Pictures certainly do not do it justice, by any means. It is one of those things that has to been seen and experienced in person to understand the glory of God's creation. So true, Ginger. The Grand Canyon is an example of the glory of God's creation. Thanks for commenting. Heidi, watching toddlers at the Canyon can be a challenge. I do hope you get back some time. Thanks for commenting. Maxie, it sounds like you and your family had quite an adventure. I understand your mom's reluctance. Looking down into the Canyon can be a bit scary. Thank you for your comments. Sharon, Powell did more than one trip through the Grand Canyon, so you're right about exploration being in his blood. I wanted to write more about him, but didn't want the post to be too long. Thank you for commenting. What an adventure those men had! It's amazing that no one was seriously injured. I've visited the North side of the Grand Canyon but haven't been to the South side yet. Vickie, their trip was amazing. It's hard to even imagine doing something of this scale based on what they had and the fact they didn't know what the terrain would be like. Thanks for commenting. How interesting! I have visited Grand Canyon, but haven't hiked it or ridden mules or boats. Britney, I'm glad you've had the chance to visit the Canyon. It's so beautiful. Thanks for commenting. 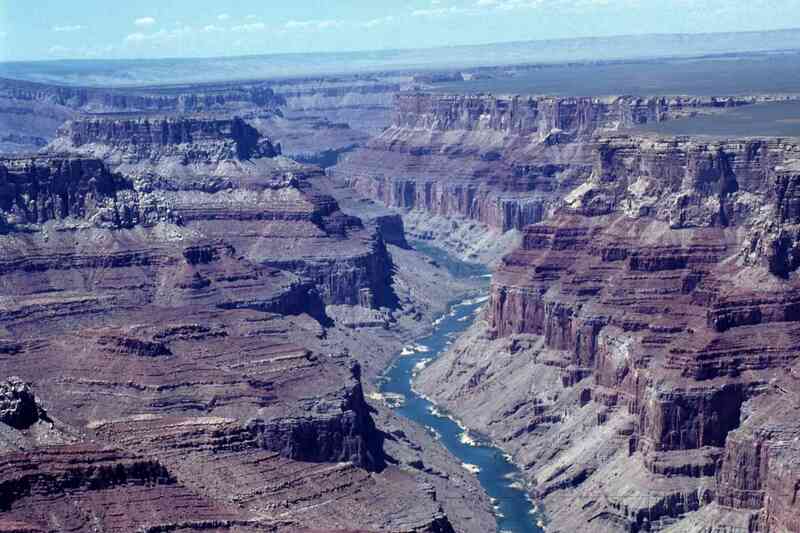 I had the priveledge of visiting the Grand Canyon once on our way to moving to Yuma, Arizona. Though I no longer live there it was a great adventure visiting it. Looking at pictures you never realize how huge it is until you visit in person ! Thank you for the giveaway opportunity !